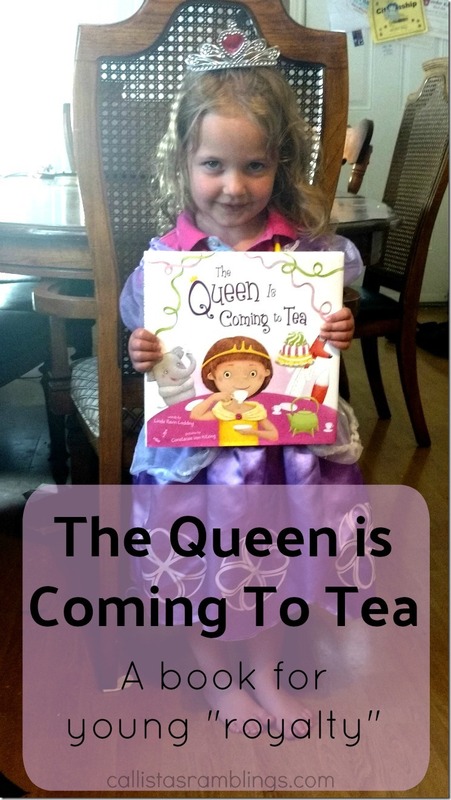 If you have a young Queen-wannabe in your house like I do then you might want to consider this new book, The Queen is Coming to Tea by Linda Ravin Lodding. Keep reading for an Iced Tea Recipe! My 3 year old Queen was super excited to see this book that came in the mail just for her (her words.) Queen Aria approves of this book. She loves anything royalty and walks around telling anyone that she’s in charge. When I asked her to pass me my book she corrected me and told me it was her book. The story starts with Ellie getting a notice that the Queen would like to come to tea from the Queen’s footman. She agrees but rushes off to the far reaches of the world to find the perfect cake, tea, lemons and dress before she is ready. There is a cute surprise/revelation at the end of the book but it did involve a little explaining to my 3 year old. The book is recommended for 4-8 though so an older child would be just fine. One small thing and a child probably wouldn’t notice or care but I was a little confused when Ellie goes to ask for a tutu and then afterwards is wearing a ball gown. The illustrations are adorable, Contanze did a great job. 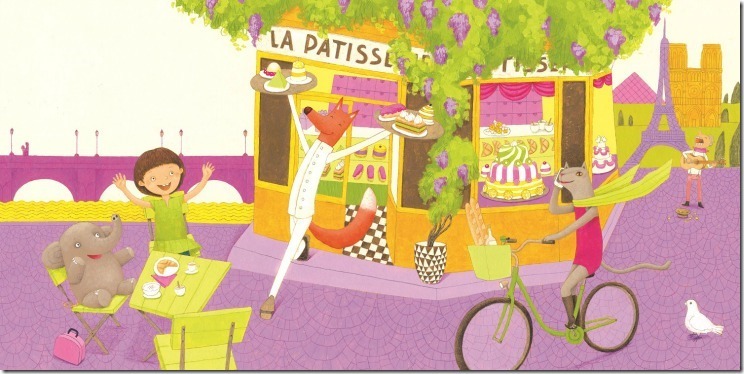 I can be picky with my children’s illustrators but I’d love to read more books illustrated by Constanze.